Boulder Bourbon Whisky is bottled by hand in Boulder, Colorade at Vapor Distillery. 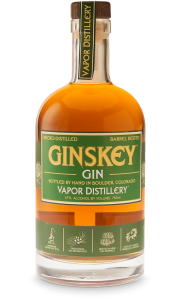 It is a blend of the three grains Corn, Rye and Malted barley and distilled at Vapor’s Copper Pot Still. Bourbon Whisky: Bourbon is a style of corn-based, barrel-aged whiskey that originated in the southern United States. The name Bourbon originate from Bourbon County in north-eastern Kentucky. The county was named in honor of the House of Bourbon, the royal dynasty that ruled France at the time of American colonization. In most countries, any spirit named as Bourbon must have been produced exclusively in the U.S.
What makes Vapor Distillery a craft distillery? 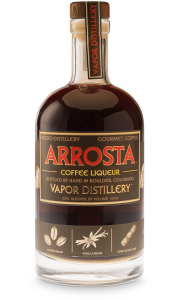 Vapor Distillery is a craft distillery because each and every small, handcrafted batch of award winning spirits produced in their Boulder Colorado distillery is made by hand. It is possible to take a tour of their distillery and see that they still bottle their spirits by hand. At Vapor Distillery they barrel and age their spirits to perfection in new American white oak barrels. Vapor Distillery Boulder Bourbon is a blend of 3 grains. Corn, Rye and Malted barley (51% Corn, 44% Rye and 5% Malted barley). It is aged in 15 gallon Virgin American Oak barrels for 18 months. Because the barrels are so small, the vanilla, caramel and wood flavors are extracted much quickly compared to the conventional 53 gallon barrel. It is a unique combination of grains aged smaller barrels. Vapor Disitillery is established in 2007. The most important values at Vapor Distillery is experience, creativity and attention to detail and a passion for craft distilling. At Vapor Distillery, they are very professional and passionate. The Master Distiller and Co-owner, Ted Palmer, has over 25 years of experience making spirits and beer, and their Co-owner, Alastair Brogran, has 25 years of business experience. Every spirit is handcrafted and has a unique story. Every small, handcrafted batch of award winning spirits is produced in the Boulder Colorado distillery made by hand. They start the process with pure, local Colorado Rocky Mountain water sourced from the Arapaho Clacier. Then they add the finest, hand selected botanicals and ingredients specifically chosen for their high quality and taste. They barrel and age their spirits to perfection in new American white oak barrels. Vapor Distillery is always working on something but is it not mass production – it is the art of craft distilling. If you are around, you can come and take a look at the distillery in Colorado to see how they still bottle their spirits by hand. Vapor Disitillery is established in 2007. The most important values at Vapor Distillery is experience, creativity and attention to detail and a passion for craft distilling. At Vapor Distillery, they are very professional and passionate.